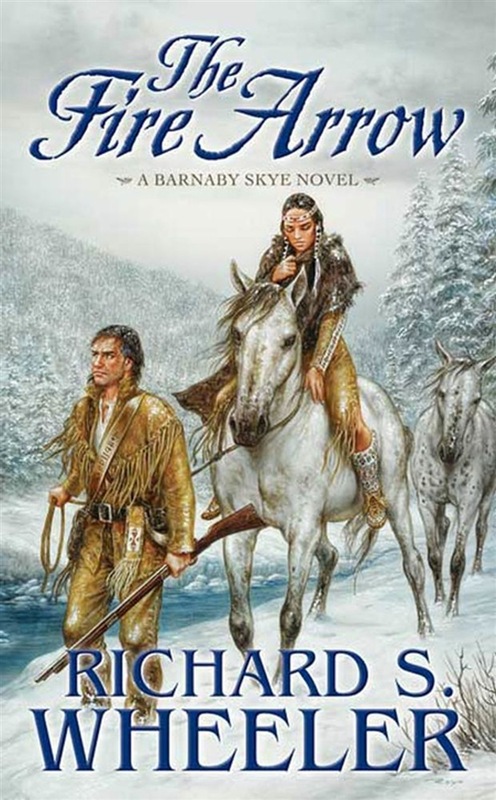 Barnaby Skye, the most durable and unforgettable character in modern Western fiction, returns in this harrowing tale of survival from his early years in the Rockies. In the midst of a brutal winter, Skye's beloved Crow Indian wife, Victoria, is critically wounded when a Blackfeet raiding party attacks a Crow hunting camp. Despite Skye's attempts at doctoring, Victoria's life hangs in the balance as the two, left alone in the frozen wilderness, struggle to survive cold and starvation. Miraculously, an old mare and her foal wander into their camp. Victoria believes they have been sent by her spirit guide, and finds the strength to ride. Skye and his wife make their way toward Victoria's home village on the Musselshell River. Breaking winter trail is a slow and laborious process, but at the end of the journey they will find peace. Or will they? Skye's love of whiskey puts his life, and Victoria's, in peril when they encounter a renegade band of Yankee traders taking a wagon-load of a cheap and poisonous raw alcohol to trade among the Indians. Their leader, a former West Point officer, forces Skye to guide them, but all the while the legendary mountain man plots to ruin their deadly enterprise. In The Fire Arrow, Richard S. Wheeler has fashioned an unforgettable tale of love and survival in the unforgiving wilderness of the American West. At the Publisher's request, this title is being sold without Digital Rights Management Software (DRM) applied. Acquista The Fire Arrow in Epub: dopo aver letto l’ebook The Fire Arrow di Richard S. Wheeler ti invitiamo a lasciarci una Recensione qui sotto: sarà utile agli utenti che non abbiano ancora letto questo libro e che vogliano avere delle opinioni altrui. L’opinione su di un libro è molto soggettiva e per questo leggere eventuali recensioni negative non ci dovrà frenare dall’acquisto, anzi dovrà spingerci ad acquistare il libro in fretta per poter dire la nostra ed eventualmente smentire quanto commentato da altri, contribuendo ad arricchire più possibile i commenti e dare sempre più spunti di confronto al pubblico online.